Ross was a longtime fan of Unit 187 and jumped at the chance to take on guitar duties for the band a while back. He likes to think that his contribution to Unit 187 of cheap guitars, even cheaper effects pedals coupled with the influences of early punk rock, industrial music and horror movie soundtracks has added a new dimension to the 187 sound. Tod Law came on to the Industrial / Punk scene through authentic roots, hanging out on the streets of Vancouver during the late 80's and early 90's, taking in as many live shows as he could while working at a local record store. Tod would be front and center causing as much mischief as possible when bands like Skinny Puppy, Circle Jerks, and the Dayglos would play. In 1994, Tod met up with John Morgan after a local live show, and they both started a band together that eventually became Unit:187. Quickly Tod honed his live presence, melding influences from frontmen such as Jelo Biafra, becoming a great showman and making every Unit:187 show memorable in some way. In 1999, Tod's live antics earned him a spot playing keyboards and samples for the notorious Vancouver metal band, Zimmer's Hole. Every Zimmer's Hole show was not to be missed, as costumes, explosions, and fake blood were common-place. Tod was the driving force behind Unit:187 throughout the years, and toke an active role in every writing session - his vision helped mold the sound you hear as the present-day band. Tod sadly passed away in 2015 and leaves his great music with Unit:187 as part of his legacy and something he will always be remembered for. John grew up listening to synth bands such as Depeche Mode and Skinny Puppy, eventually following this musical path into electronic music production in the late 80’s. 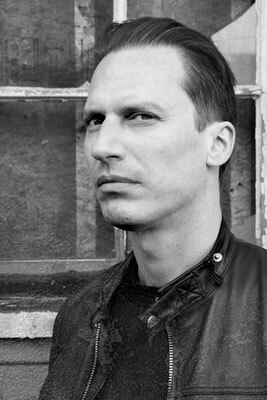 His early works could be categorized as industrial acid-house – fusing together his influences at the time with old school analog gear and drum machines. In 1994, John formed Unit:187 with his friend Tod Law after attending a show together and finding out they had similar tastes in good music. Vancouver at the time was a very creative place for music, and quickly they were able to sign the new Unit:187 material to San Francisco’s 21st Circuitry Records. Three years later, John joined the band Strapping Young Lad as a keyboardist and toured extensively before also joining Fear Factory for several tours. 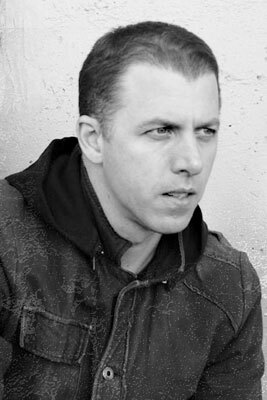 In early 1998, after deciding to stay closer to his home in Vancouver, John started full time work as composer and audio designer for top videogame giant Electronic Arts. Since then, John has produced over 12 records for his house music label – Powerplant Music, as well as recording 3 new Unit:187 albums, composing music for several multi-million selling video games, and recently completing the sound post for the 2010 Olympic Games opening ceremonies. 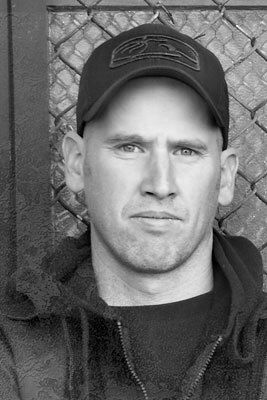 Chris Peterson (born May 14th, 1968) was a member of Will with Rhys Fulber and John McRae from 1987-1992. He also did the mixing on the first two Intermix albums and some of the earlier Delerium albums. Then he joined FLA live in 1990 and 1992 on the Caustic Grip and Tactical Neural Implant Tours as percussionist. In 1996 he did the Decree album "Wake of Devastation" together with John McRae. In 1997 he replaced Rhys in FLA. 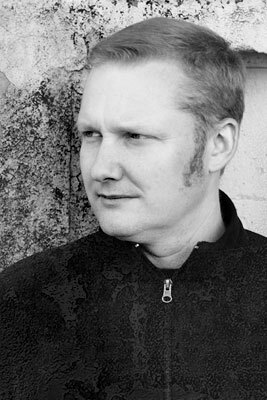 He did FLAvour of the Weak, Re-Wind, Implode, and Epitaph, as well as Equinox - Holon together with Bill, he also helped on the ProTech album, did the mix on the last Synaesthesia album, and did the programming on Delerium's Poem. Will - Word.Flesh.Stone. : Production and Engineering: Chris Peterson / Rhys Fulber. Will - Pearl Of Great Price: Production & Engineering: Chris Peterson / Rhys Fulber / Michael Balch. Delerium - Stone Tower: Mixed by Chris Peterson. Delerium - Spiritual Archives: Mixed by Chris Petertso and Delerium. Noise Unit - Strategy Of Violence: Mixed by Chris Petterson and Noise Unit. Delerium - Euphoric: Mixed by Chris Peterson & Delerium. Intermix - Intermix: Mixed by Chris Peterson & Intermix. Delerium - Reflections 1+2: Chris Peterson involved in mixing among others. Intermix - Phaze Two: Sonic Analysis - Chris Peterson. Sect - Telekinetic: Mixing engineer on tracks 1-3 and 5-9: Chris Peterson. Decree: Wake Of Devastation: Chris Peterson did Samples, Programs, Synthesis, Instruments and Engineering. Synaesthesia - Ephemeral: Mixed by Bill Leeb and Chris Peterson. Front Line Assembly - The Initial Command 1997 Re-Release: Tracks 1+2 Written and Mixed by Chris Peterson and Bill Leeb. Pro>Tech - Orbiting Cathedrals: Songs 7, 8 written by Chris Peterson and Bill Leeb. All programming and additional sounds by Chris Peterson. Mixed @ Cryogenic Studios by Chris Peterson and Bill Leeb. Front Line Assembly - FLAvour Of The Weak: All tracks written / produced / mixed by Bill Leeb and Chris Peterson @ Cryogenic Studio, Vancouver BC Canada. Front Line Assembly - Colombian Necktie: All tracks written, produced and mixed by Bill Leeb & Chris Peterson at Cryogenic. Front Line Assembly - Comatose: All tracks written by Bill Leeb and Chris Peterson. Front Line Assembly - Re-Wind: Disc One: All Tracks re-constructed by Bill Leeb, Chris Peterson. Equinox - Holon: Written and produced by Bill Leeb and Chris Peterson. Equinox - Contact: Written and produced by Bill Leeb and Chris Peterson. Cryogenic Studios: Peterson credited on 6 Tracks. Front Line Assembly - Implode: All music written and produced by Bill Leeb and Chris Peterson. Front Line Assembly - Prophecy: All music written and produced by Bill Leeb and Chris Peterson. Front Line Assembly - Fatalist: All sings written by Bill Leeb, Chris Peterson. Cryogenic Studios 2: Peterson credited on 7 Tracks. Delerium - Poem: programmed by Chris Peterson.